Local Trust has announced additional funding for the 150 areas taking part in the Big Local programme. Big Local areas will each be receiving an extra £105,000 on top of the £1 million already committed to support make their communities even better places to live. Big Local is the biggest place-based funding programme currently distributing funds across England. 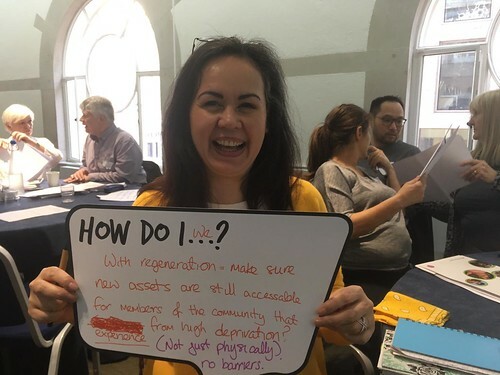 Established in 2012 by the Big Lottery Fund to target funding to 150 communities who had missed out on benefiting from previous funding programmes, Big Local is administered by place-based funder Local Trust. The additional funding for Big Local areas is coming from the investment return on the Big Local endowment, which is managed by Local Trust to provide funding from the programme, which runs until 2026-27. The funding decision means that, over fifteen years, at least £166m will be distributed to communities across England under the Big Local programme. As well as additional funding going directly to Big Local areas, Local Trust will also be increasing funds available to assist local areas through greater access to training, advice and other forms of support, to help them make the most of their opportunities. 'The Grammar of Change' by David Boyle, which reports on experiences in a number of Big Local areas five years into the programme, was published last week by Local Trust and is available free for download or by post.